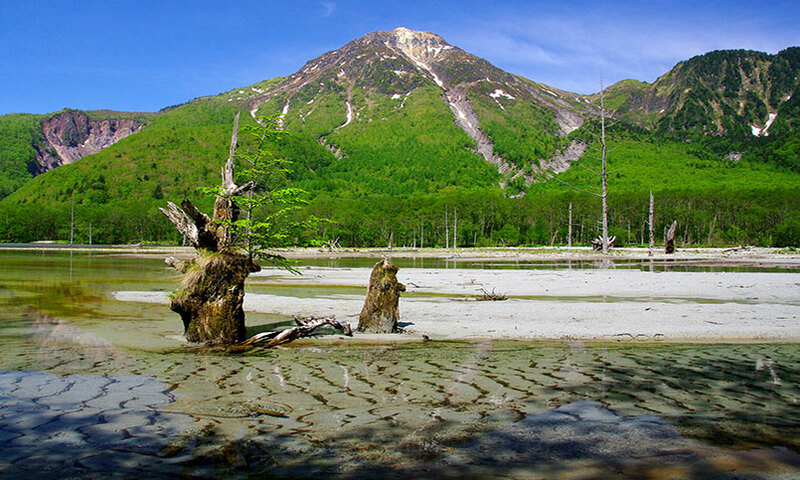 Taisho Pond (Taishoike) was formed in 1915, when an eruption of the nearby volcano Mt. Yakedake dammed the Azusa River. The decayed trees in and around the pond add a special ambiance to the scene, as well as a subtle reminder of the destruction wrought by volcanic activity. 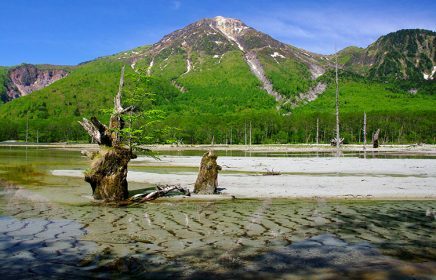 Even today, a few of the submerged trees can be seen in the pond, and a variety of plant life exists in the surrounding marshlands. 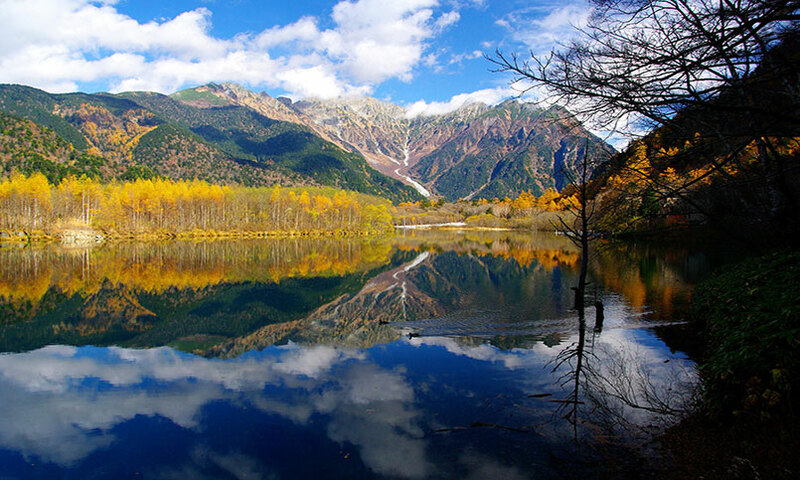 As the water level of the lake drops due to the flow of debris from the mountainside, the lake is dredged of silt annually and the dam is maintained artificially to generate hydro-power. 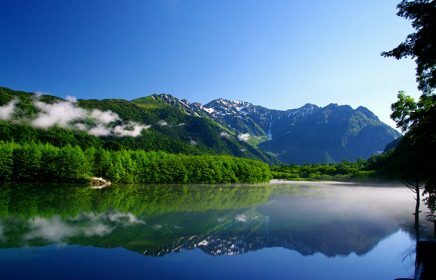 With the view of the trees standing withered in the pond in the morning haze and Mt. Hotakadake and Mt. 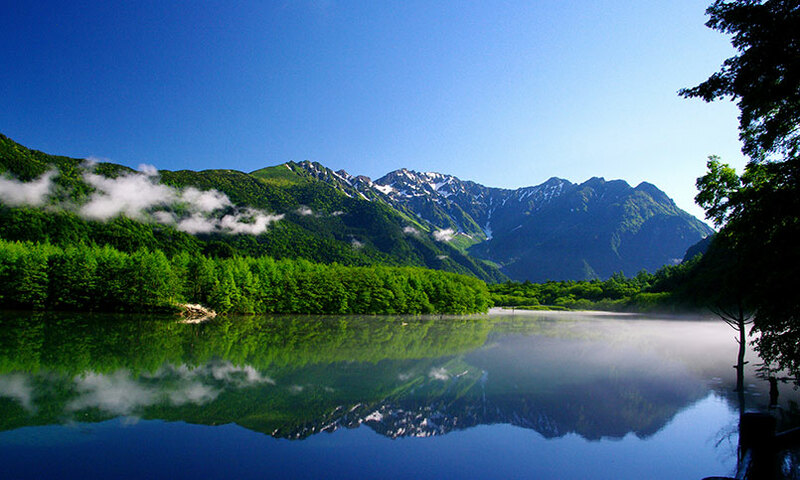 Yakedake being reflected on the surface of the pond against the clear sky, Taishō Pond is one of the most popular scenic points in Kamikōchi. 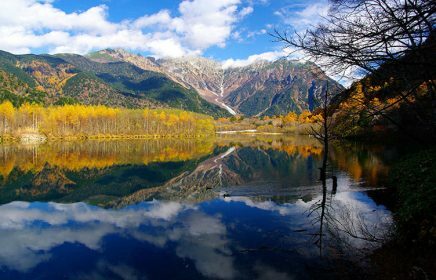 Check out some beautiful photos of Taisho Pond on Instagram.